POWERFUL!! 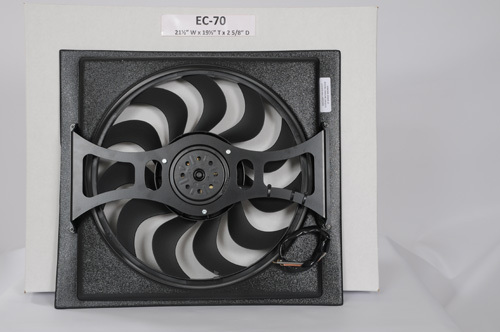 2-Speed, DUAL-FAN "E-X-T-R-E-M-E" COOLERS! Copyrighted. 12-gauge Steel Cages come in Black or Silver... Your Choice!! 28"W or 30'W x 18'T x 2 5/8" Deep! 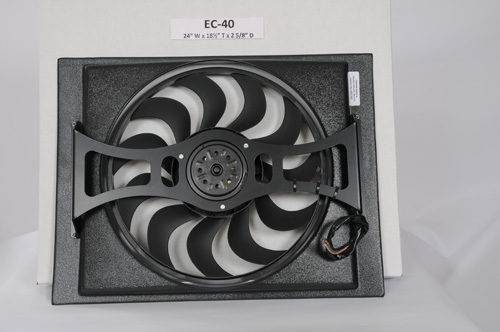 Performs with the same High Intensity as our best-selling EC Single Fan/Shrouds!!! DUALS COME IN 30" and 28" WIDTHS - Cages come in Black or Silver! 30"W trimmable to 28"; 28"W trimmable to 26"
FOR 70'S and up MUSCLE CARS and TRUCKS!! For close up view click on the pictures above. 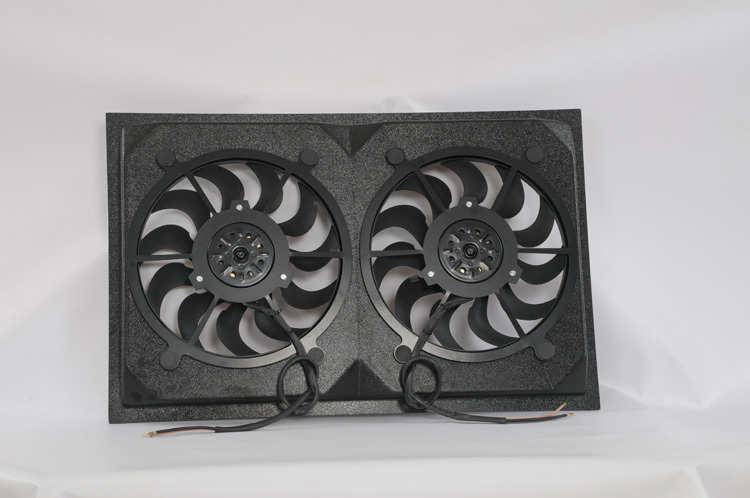 All fan shrouds have a 2 5/8" depth! 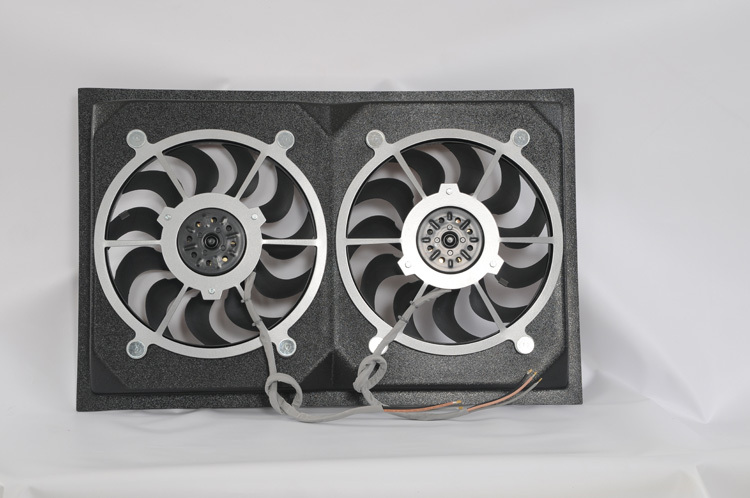 We are builders of the most sought after fan shrouds in the street rod market, utilizing only the finest of materials. 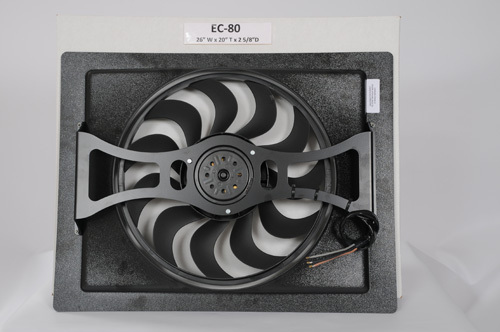 These fan shrouds are pure power and maintain the highest efficiency of any in the street rod market, of which we are aware! 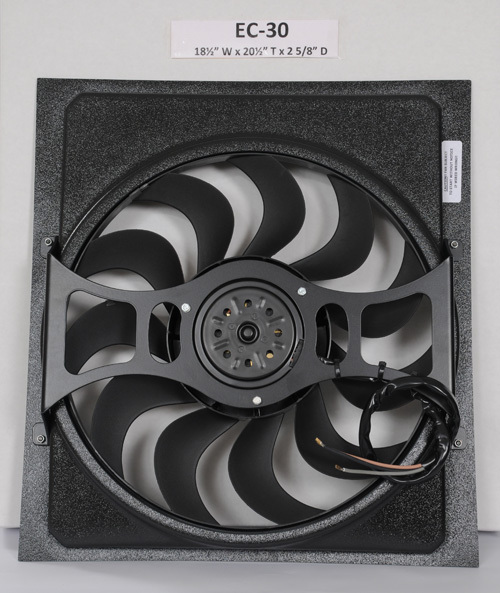 Unlike our predecessor who previously dominated the market, however, we now have added a beautifully designed, very sturdy "laser-cut" one piece steel, (semi-gloss) powder-coated bracket, which also allows not only free-flowing, un-restricted circulation of air, but a "hidden wire" feature, as well. 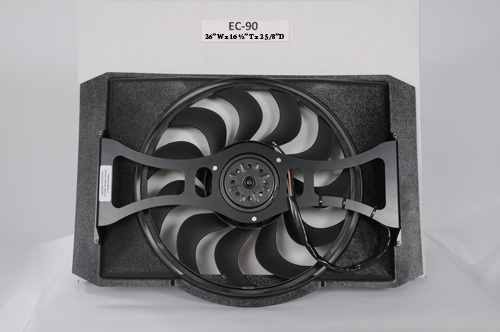 The EC-50 features rubber flaps on our vertical-flow fan/shroud, along with "hairicell" high-temp, high-impact ABS plastic on all six. 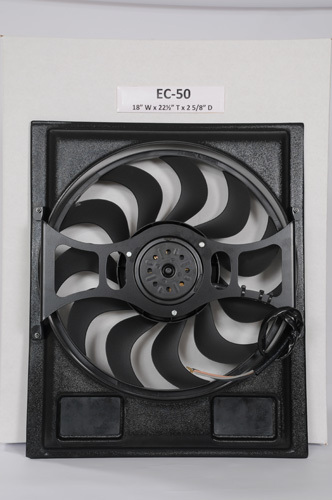 We feature a fan-motor bracket system that gives our fan shrouds a more clean look. 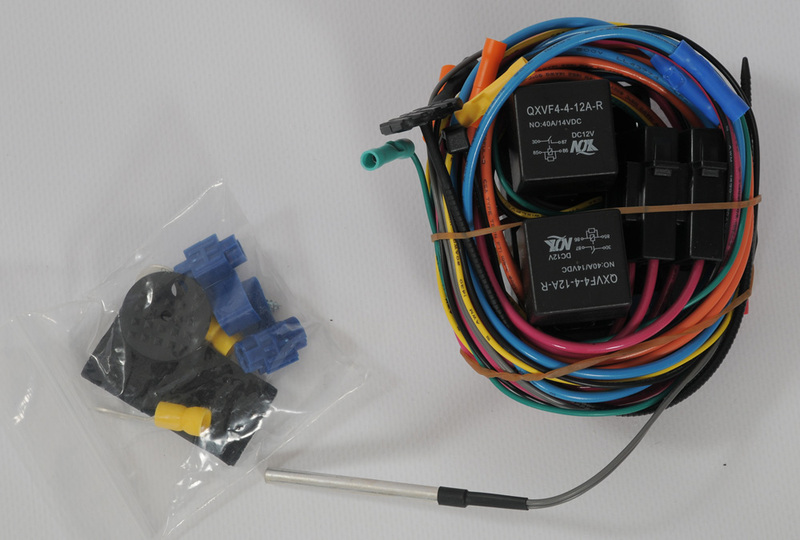 All our fan/shroud combinations are to be used as "Pullers" only (to mount in BACK of your radiator). Our fan/shrouds are pure power!! !